Which Clan Will You Join? "Then by StarPride, I give you your warrior name. Brookpaw, from this day on, you will be known as Brookfall. StarPride honors you and we welcome you as a full warrior of SnowPride." Padding forward, Blossomstar rested his muzzle on top of Brookfall's head. Brookfall licked Blossomstar's shoulder, then sat back and listened to the pride call out his new name. "Brookfall, Brookfall, Brookfall!" cheered Fallowgorse for the pride's newest warrior. Boulderpaw padded into the SnowPride camp, carrying a swallow in her jaws. She made her way into the elder's den, placing the swallow at their paws with a dip of her head. "Let all lions old enough to catch their own prey gather for a pride meeting!" roared Blossomstar from the center of the pride camp. Barktooth pricked up her ears and padded out of the medicine den to hear what Blossomstar had to say. "I, Blossomstar, Leader of SnowPride, call upon my warrior ancestors to look down on this apprentice. He has trained hard to understand the ways of your noble code, and I commend him to you as a warrior in his turn. Smokypaw, do you promise to uphold the warrior code and to protect and defend your pride, even at the cost of your life?" "Then by StarPride, I give you your warrior name. Smokypaw, from this day on, you will be known as Smokyflower. StarPride honors you and we welcome you as a full warrior of SnowPride." Padding forward, Blossomstar rested his muzzle on top of Smokyflower's head. Smokyflower licked Blossomstar's shoulder, then sat back and listened to the pride calling out his new name. "Smokyflower, Smokyflower, Smokyflower!" cheered Cedarcub from her seat outside the nursery. Barktooth padded into the SnowPride camp, carrying a poppy head in her jaws. She made her way into her den, sitting down to put the poppy head into the storage. Moonpaw made his way into the SnowPride camp, carrying a mongoose in his jaws. He padded over to the fresh-kill pile, dropping the mongoose on top. Barktooth padded into the SnowPride camp, carrying marigold in her jaws. She made her way into her den, sitting down to sort out the marigold. Moonpaw padded into the SnowPride camp, carrying a mongoose in his jaws. He made his way into the nursery, dropping the mongoose at the queen's paws with a dip of his head. Barktooth padded out of her den, dragging the body of Fallowgorse in her jaws. She placed the deputy in the center of the pride camp, so the clan could grieve. Moonpaw padded over and pressed his nose into Fallowgorse's fur. Blossomstar touched his nose to Fallowgorse, then tossed his head back in a roar. "Lions of SnowPride. Listen, And I will appoint the new deputy. I say these words before StarPride so our ancestors may hear and approve my choice...Graywing will be the deputy of SnowPride!" "Thank you, Blossomstar." answered Graywing with a dip of her head. 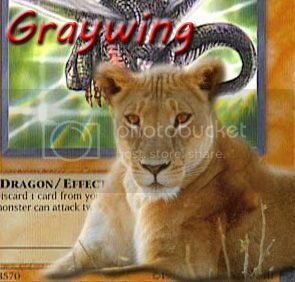 "Graywing, Graywing, Graywing!" cheered Heatherfur for the pride's newest deputy. Leafpetal padded into the SnowPride camp, carrying a weasel in her jaws. She made her way into the nursery, dropping the weasel at the queen's paws with a dip of her head. Barktooth padded into the SnowPride camp, carrying marigold in her jaws. She made her way into her den, placing the marigold into the storage. "We gather today to welcome four cubs into their lives as apprentices." continued Blossomstar once the pride had gathered. "Mistycub, from this day on, you will be known as Mistypaw. Firetail, you will be mentor to Mistypaw. Icecub, from this day on, you will be known as Icepaw. Moonstreak, you will be mentor to Icepaw. Mosscub, from this day on, you will be known as Mosspaw. Leafpetal, you will be mentor to Mosspaw. Silvercub, from this day on, you will be known as Silverpaw. Pebblebracken, you will be mentor to Silverpaw." » Current Shichibukai & Admirals in One Piece. Opinions ? » PMD 2 Plot-based Fanfic?